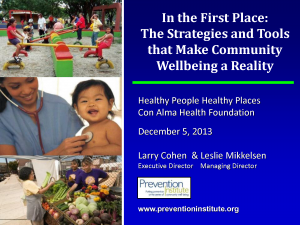 Con Alma Health Foundation and Farm to Table would like to thank everyone who was able to attend the Healthy People, Healthy Places Workshop In the First Place: The Strategies and Tools That Make Community Wellbeing a Reality. Although the weather made travel a challenge for some, the event was well received. Larry Cohen and Leslie Mikkelsen of the Prevention Institute shared valuable insights and practical tools that can help communities in their collaborative planning and work. Some of the topics and materials that were shared are outlined and linked to below. 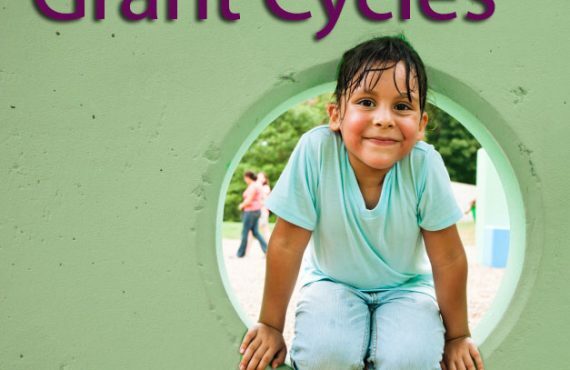 The Prevention Institute makes these and many other tools available on their website, be sure to explore what they have to offer. Follow this link to download the slides from the workshop.